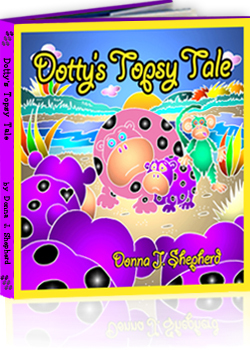 The newest in the Topsy Tales series features Dotty, a pink hippo that doesn't quite fit in. With help from her best friend, Chizzy, she finds she can be happy with herself no matter what her color. The book introduces a purple baby hippo, Violet, to gently explore the topic of discrimination.